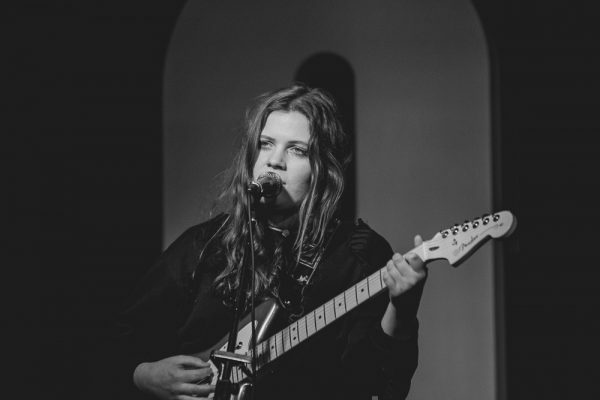 Brooke Bentham Interview and Review - Brum Live! 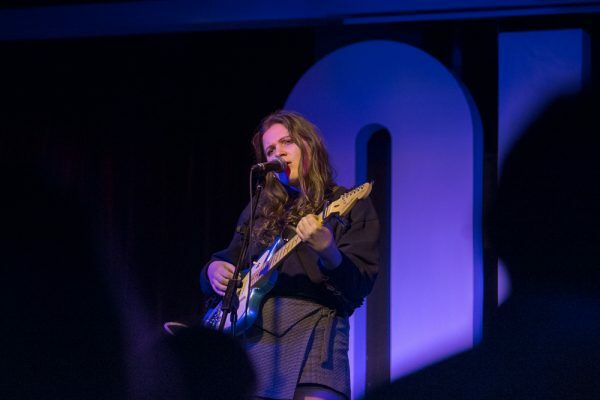 Brooke Bentham is a 21 year old singer/songwriter, originally from South Shields, but now living, studying and plying her own brand of alt-rock in London. She offers heartbreaking vocals and stories of love and relationships way beyond her years. She reminds me a little of Lana Del Rey as she sings songs that sound like they dripped from the pen of an older and more weather beaten person: “Born To Die” for example. 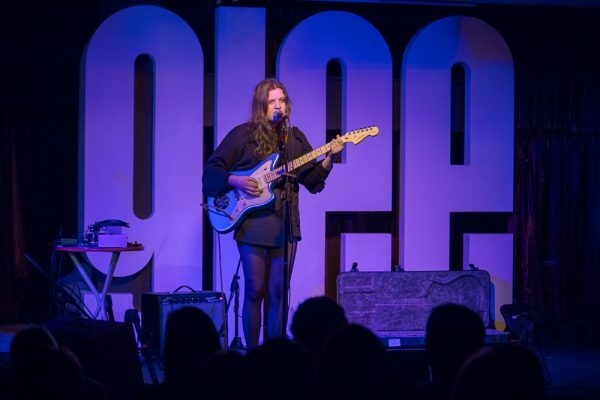 Brooke has a voice that starts within Lana’s low range, but soars to a primal scream evoking singers as varied as Peggy Lee, Elizabeth Fraser, Raissa, Sam Brown, Cass Elliot, Jeff Buckley and Jenny Lewis. The first song of Brooke’s I heard was the now deleted “We’ll Be Ghosts” and although there are signs of greatness, it is for the most part a rather pedestrian and predictable affair. Brooke’s voice at 1:08 however, is where the hairs stood up on the back of my neck. There is a slight growl, an emotional breaking of the voice, which did not seem affected or fake the way sometimes Lana Del Rey sounds – Brooke is real. Last year saw the release of “Oliver” which showed again how she had progressed, as the track’s structure meanders the way you would not expect and there is a maturity in the lyrics and performance. This year Brooke grows and morphs her sound again away from her acoustic folky beginnings into a more alternative rock with the massive “Heavy and Ephemeral” – it is a stunning track not only because Brooke’s voice is commanding but because it is such an anti-love song (I must admit here that for some reason I misheard or misread ‘ephemeral’ as ‘ethereal’ and was initially impressed by the clever use of opposites to describe love (the relationship within the song), as in love being both heavy and light, heavy yet delicate). When I looked up the meaning of ‘ephemeral’ I was blown away that someone would sing with such conviction the line: “Our love is heavy and ephemeral.” Everyone else trying to make a career in pop music sings of everlasting love, always and forever, our love or my heart or whatever will go on etc etc ad nauseam – but here is a young writer being honest saying this relationship will be over soon. I love it when a writer just does things differently to everyone else. BL: Firstly thank you for taking the time to answer some questions for Birmingham Live. I was surprised to see that on a Google search when you type Brooke Be.. you beat Brook Benton (the legendary black singer from the 50s/60s) to first place. Is this the result of a good PR company pumping the Google ratings or are you seriously a star already? BL: Your first release “We’ll Be Ghosts” was well received. Did that level of attention and praise inspire you or cause you to retreat from the limelight? BB: It ultimately inspired me. It was the first song I’d ever put out there and to have it be well received was a real pleasure. It gave me hope and spurred me on, I guess! BL: Why did you withdraw its official release when it is such a great song? BB: Ha, it just wasn’t what inspired me anymore. I had no real pride in the lyrics of the song and felt I had enough space to take things down at that point without it being too much of a big deal. BL: Does it bother you that the song can still be listened to on the internet, or is that just part of releasing music into the public domain nowadays? The situation reminds me of Barthes’ Death of the Author when he writes: “The essential meaning of a work depends on the impressions of the reader, rather than the “passions” or “tastes” of the writer; “a text’s unity lies not in its origins”, or its creator, “but in its destination”, or its audience”. Effectively, once uploaded your work takes on a life of its own. BB: I guess it’s just a part of music nowadays. I can’t be bothered by it because I listen to a fair bit of early music from my favourite musicians that they might not necessarily like themselves. It’s interesting to see a progression. It’s a bit more human. BL: Your latest track ‘Heavy & Ephemeral’ was produced by Ben Baptie. Is it different working with a world renowned producer/engineer compared to on your earlier tracks? BB: Ben is amazing. Those earlier tracks were recorded when I was 16 back in Newcastle and so I think a lot of the sound I have now is to do with my natural progression and learning. Going into the studio with Ben was just like – wow – because we clicked so well and had exactly the same vision. He enhanced the songs and put them into their little world. BL: The track has a different vibe from your earlier releases, which were quite intimate, whereas this feels massive. Even in the section where it is just drums and your voice, the song feels immense. Was that the influence of Baptie who has recently engineered for another powerful female singer? BB: The track was already quite big when we went into the studio. We’d been playing it for a year straight and it was almost tiresome. We got into Urchin studios and when it was dark, (it has this huge window which lets in loads of natural light) we put on some lamps and played through heavy for like 3 hours while Ben just let us feel it out. He gave us tips on arrangement and something just flipped and I fell in love with the song again. Also Ben only wanted me when we did main vocal in the studio, none of the band, and I was comfortable enough to get into this space and this attitude, which put a lot more focus into my vocal delivery. We’d play through the song and Ben’d just say: “Nope… you’re bitter. So be bitter.” And so then I was. He is a bit of a magician. BL: You are on tour currently with John Smith. Is this your first experience of national touring? BL: I interviewed local musician Laura Bettinson (once of Nigel Godric’h’s Ultraísta, now FEMME), back in 2007 before she made the bigtime, and she was just about to start studying music at Goldsmiths. I understand you are studying there, or have just finished – did you study music as well? Did the life lessons at college contribute to your growth as an artist? BB: I studied popular music. I think Goldsmiths has helped me find a space to make the music that I want to make. It’s given me the tools to different songwriting approaches and I’ve met my band at Goldsmiths. I wouldn’t say it’s a direct influence on the music I’m making now because there’s such a big electronic scene at the Uni. I’m definitely a stronger musician because of it though. BL: For such a young writer, your songs are mature and intense. Are your lyrics life experiences or are you telling stories? BB: I write about situations/emotions that I myself have encountered. It’s therapeutic and I can really feel them out that way. BL: I smiled when after an article stated you were from London, you proudly remarked you are actually from Tyneside. 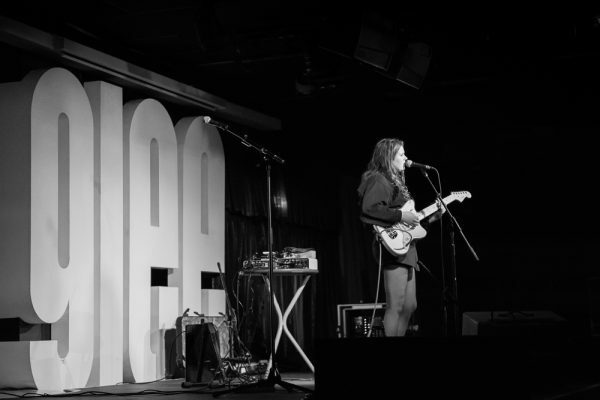 I have noticed the Capital often tries to make out everything good was made there and it is heartwarming to see great music being produced by strong women not from London and proud of it (Eliza Shaddad, Scotland; Charlotte Carpenter, Northampton; She Drew the Gun, Merseyside). Do you feel that there are enough opportunities when you are not living and working in London? BB: Well to be honest, I left Newcastle before I really made the music scene there. I’d done the buskers/pub gigs from 16-18 but never really any established gigs. I got lucky because I did one last show at the Cluny 2 before I left for Uni and Ross, the sound tech (who also did James Bay’s sound) put me on to London promoters Communion just as I moved there. The North East has so many good opportunities though, companies such as Generator are doing an amazing job for new musicians on the scene. I fully believe that, now with the internet, you don’t need to live in London to ‘make it’ in music. That’s an outdated tale. BL: You have been likened musically to the likes of Laura Marling, Joni Mitchell and the late Leonard Cohen. You have also covered a Bombay Bicycle Club track. Who are your influences and what are you listening to at the moment? BB: I’ve always been into Yo La Tengo. Bon Iver are also a huge, huge influence for me. The emotion that band can emit when you don’t even know what Justin is saying!? It’s amazing. That second self titled album is one of my top 5’s. At the minute I’m listening to a lot of Mitski, she’s so good at making emotional rock songs man. Like she has this ridiculous heavy backing and her crazy soft voice singing about love in all these poetic ways. Wow! But also, she can be so poetic and then so straight, and it works both ways. I think she’s amazing. BL: What’s next for you? The debut album? Solo tour? Superstardom? BB: Another EP, then the album! Hopefully a full band tour. I just wanna keep making music. Support slots are a hard way to get noticed, but are a necessary evil; they help an artist gain confidence and improve their stage presence. There is nothing to lose in front of an audience who are not there to see you, but a lot to gain if you win them over. Tonight, Brooke Bentham is supporting legend John Smith who is on a promotional tour for an album not even released yet, and his audience is made up of mainly people in their late 30’s and beyond, who have come to listen to folk/country acoustic tales delivered with a velvety smooth voice… I’m not sure whether the combination of alt-rock support and folk headline worked in Brooke’s favour, but I for one was captivated, whereas all around me came the sound of polite applause when it should have been rapturous. 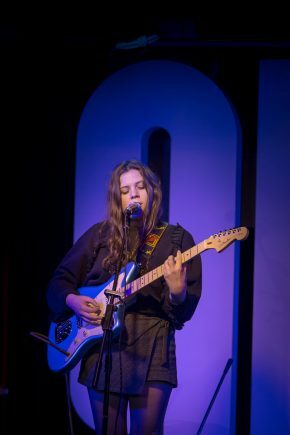 Brooke, who has a piercing look like Lauren Bacall at her most alluring, plays a short thirty minute set, swapping the acoustic guitar used in the first part of her career for a clean Fender Jazzmaster soaked in a big reverb and just a little tremolo. Having only four songs available online, and only playing two of them in the set meant that there is a lot going on I have not heard before; but it all sounds raw and exciting. I think she still has a little to learn about microphone technique and general stage performance, but her foundations are absolutely solid. The electric version of “Oliver” is more hypnotising than the recorded version as Brooke’s voice follows its snaking melody, from a murmur to a cry; the reverb trails from the guitar arpeggios fill up the small venue and provide a stunning backdrop to her vocal. She bravely tackles the Radiohead song ‘House of Cards’ which if anything shows her own writing in a more favourable light as her chord progressions and melodies outshine this overly maudlin and crawling track by a mile. The song Brooke opens with (I didn’t catch the title but has the line “I need you to make my body work”) showcases her individual brand of desperate fatalism (as in adolescent angst about not being able to enjoy love because it is fleeting and will soon come to nothing), which although mostly associated with teenagers, does sound from the heart rather than a case of a child singing a woman’s words. The image within the song of a couple sleeping in bed and the comfort she feels when her partner’s leg is placed over her own, is so simple and innocuous but so identifiable, that there is power from just a few words. Other writers could take a whole song and still not reach such heights. ‘Heavy and Ephemeral’ closes the short set and does not suffer from being just voice and guitar, and the section where Brooke taps the guitar body rhythmically and only sings (mirroring the recorded version where it is just drums and voice) shows a confidence in her material and her own voice, which is superb throughout. 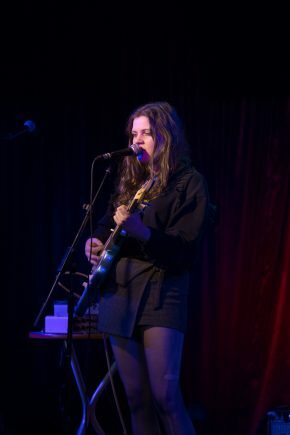 Brooke’s voice floats between the folk-rock tone of Jenny Lewis and the 60s surf-rock of Lana Del Rey. But let’s be honest, Brooke could sing Lana under the table because she has hidden strengths – whereas Lana has one vocal trick, Brooke has countless to draw from. Tonight is a wonderfully devastating performance from an absolute female powerhouse; I have seldom been so impressed by one so young and cannot wait to hear more because the tracks I didn’t know from the set are stronger and better and deeper than the ones I already know. I want more and I want it now. ‘Heavy and Ephemeral’ is out now at all good download shops.